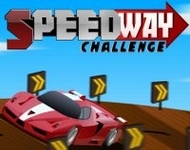 Wheely Are you ready to play a great game of skill with Red Car Wheely our red car with the hero of the game Wheely'm so tired of waiting to be sold in galleries and the biggest dream that decides to hit the road to join the big race. Do you want to help the cute Wheely part of obstacles in front of you, the Wheely through boxes and other tools you need transportation to other departments. Let's now move around your screen and cute car Wheely of looking for ways to restore the dream. Good game!